So Google has sent you the dreaded “Unnatural Links” warning message. It may seem relatively docile at first, but you click on the email and find yourself bombarded with threats of compromised rankings, total Google banishment and deadly plagues upon your children and your children’s children. You have worked way too hard to watch your online business collapse under the weight of Google’s merciless wrath, so what can you do to prevent disaster? For years I have been helping small businesses and Fortune 500 companies alike to maintain and reclaim their good names in the online sphere, and I completely understand the frustration and the trepidation that you’re feeling. Once upon a time, Google built a ranking algorithm based on inbound linking patterns. Sites with a greater number of links were considered to be of greater authority, and were therefore graced with prominent search engine rankings. Before long, though, people began to realize that the secret to search engine supremacy was to simply generate as many inbound links as possible. So Google began weighing link value according to quality. One-way links were granted more value than reciprocal links, and sites with higher Page Rank (and later Domain/Page Authority) passed along more link juice than those with lower ranks. Google also began penalizing sites that received links from so-called link farms and other paid spam sources. If you have links pointing to your website from some spammy elephants’ graveyard of CyberSpace, you may already be on Google’s hit list. This is a tricky dilemma, because how can you remove links over which you have no direct control? If you pay monthly for specific links, you may be able to remove them simply by stopping the payments. But in most cases, you’re looking at links that were submitted once and are outside your reach. To complicate matters even more, Google is notoriously vague when it comes to their “Unnatural Inbound Links” warnings. They’re not simply going to give you a list of links that they find questionable, and if you have thousands of inbound links, it can be astronomically difficult to find the actual thorn in Google’s side. If you want to get to the bottom of the problem, you’re going to need professional assistance from a seasoned SEO agency that understands how to identify and eliminate bad links once and for all. Coalition Technologies works tirelessly to help businesses restore their search engine reputation, and we can help you, too. Our team of professional SEO techs has prevailed even with businesses that have already been banned from Google’s index. Give us a call at (877) 989-7187 for a free quote, and we’ll show you exactly what we can do for you. Don’t let a few nasty links derail your business. Take control of the situation. What is Manual Spam Action? How Do I Know if I Have Fallen Victim? It’s very easy to determine if your diminishing traffic is the result of Manual Spam Action. Your Google Analytics profile can provide a powerful clue, particularly if you see you organic traffic suddenly crash and burn. More definitively, though, you’ll want to check your Google’s Webmaster Tools. There’s a Manual Spam Action field, and if your site has been flagged, you’ll see a precise—albeit annoyingly vague—description of the reason(s) for which your site has been unceremoniously dumped from the Google radar. Before you panic, please understand that Manual Spam Action is not a permanent death sentence. It’s more like a form of purgatory. If you absolve yourself of your digital sins, you can still rise from the ashes of online obscurity and reclaim your place in Paradise, but it’s not going to happen by itself. First, you need to address and repair the issues for which you have been penalized in the first place. Most often, Manual Spam Action comes as a result of bad inbound links. So you’ll want to eliminate those links and make any other necessary amends. Then you’ll need to submit a Reconsideration Request to Google, indicating that you have taken the necessary actions and would like to be readmitted into the great cyber amusement park that is Google. I need to point out that while it’s entirely possible to overcome a Manual Spam Action, it is by no means guaranteed. Finding and eliminating toxic links can be extraordinarily difficult, and your Reconsideration Request needs to be persuasive and thorough. Coalition Technologies can help, because we’ve helped countless businesses in your precise predicament. Call us at (877) 989-7187 for a free quote, and find out how we can help you to restore your good name in CyberSpace. Everyone deserves a second chance, and we want to help you get yours. 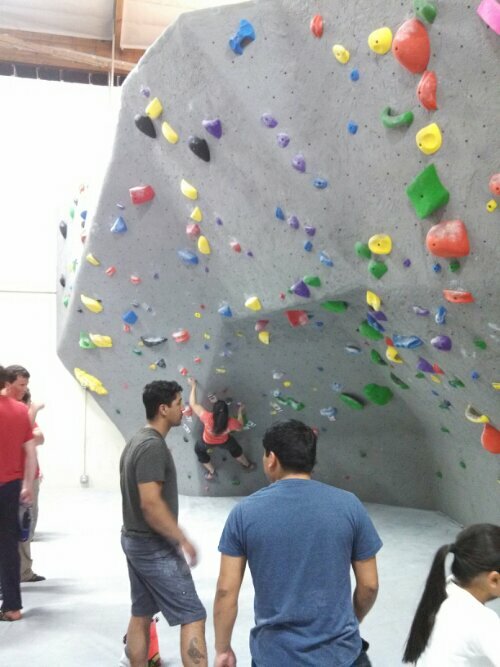 Rockreation is doing the grand reopening of their bouldering area. Lest we should get ahead of ourselves, it’s critically important to note that before you even think of submitting a Reconsideration Request, you need to take steps to reverse the transgressions that sparked Google’s ire in the first place. So if you have bad inbound links, you need to eliminate them from your link profile. If you have low-quality or stolen content, you need to replace it. Determining the best course of action can be extremely difficult, and reversing the damage can be even more difficult. If you try to do it all on your own, your chances of a successful reconsideration are about as slim as a supermodel during beach season. This is all the more reason why you need a knowledgeable SEO team who can help you to successfully navigate the dark labyrinth of Google purgatory. If you find yourself suffering the devastating consequences of a Google penalty, I encourage you to call Coalition Technologies at (877) 989-7187 for a free quote. I started this company after years of conducting SEO campaigns for leading Fortune 500 companies, and we have a stellar track record of helping penalized businesses to get back on track and rise higher than ever before. I’d love to share our processes with you, and let you know exactly how we can help you turn your Reconsideration Request into reconsideration success. Call us today. I am midway through an interesting experiment on myself… I am going 90 days with no alcohol. Currently I am at the 25 day point and feeling great! I didn’t realize that even a couple of drinks often messes with your sleep schedule. 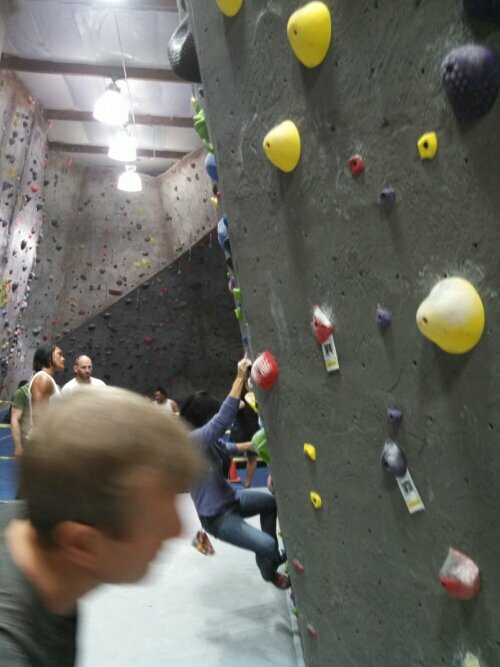 I feel productive and stable and my rock climbing is getting stronger than ever too.